Have you finally decided it’s time to start saving more money when you shop? I made this decision years ago, and have fell off the wagon a few times, but I always hop right back on. I enjoy saving money. Not only does it allow me to have extra money for other things, it allows me to share everything I have learned with others. Today I want to give you some tips on how to maximize your savings at Walmart. I chose Walmart because this is a store that almost everyone has in their neighborhood. They have very cheap prices compared to most drug stores and other big box retailers. It’s just a better place to save more. Walmart also allows for use of coupons, and even though they don’t double coupons, it helps a lot. Before you head on out to your local Walmart, you will need a few things. If you have a mobile phone that is app friendly, you must download the Walmart Savings App. This app is a must have because after you finish your shopping trip, it allows you to scan your receipt and it will give you money back if it can find another retailer who has a cheaper price. It reminds me of the price matching that Walmart used to do. My local Walmart says they no longer price match with store ads at the register. So I have turned to this method instead. There are two more apps that are must haves as well. The first is called Ibotta. 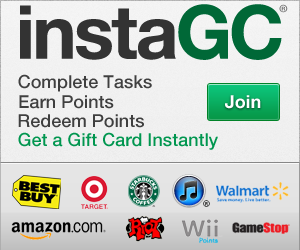 This app will give you cash back for certain items you purchase at several different stores. You can search for Walmart in the app, and it will show you all of the products you will earn cash back on when you purchase them. Basically, when you get your receipt, you will use the app to upload a picture of your receipt to Ibotta, and it will credit your account. You will then be able to cash out to PayPal, or whatever method you prefer to be paid. The final app you will need is Checkout 51. This app is just like Ibotta. You will find the products for Walmart in the app, and select them for cash back. Once you purchase those items, you will upload your receipt to Checkout 51, and you will be credited the amount you saved. Once you have all of your apps installed, you are ready for the final step. Paper coupons. Of course I was going to mention coupons. After all, it’s what I do! When I shop at Walmart I like to find high value coupons. If they are over $0.50 off, then I typically use those more. There will be alot of comparing prices before you make your trip to the store, unless you already have a coupon binder. Then you can just bring all of your coupons with you to price as you shop. Don’t know about coupon binders? You can read an old post I made called How To Organize A Coupon Binder. I’d like to give an example of the steps I take to save money, before heading out to Walmart. I prefer making my shopping list before I go to the store. It’s nice to know exactly how much I will be spending. Even though sometimes Walmart’s pricing can be off a bit. I enjoy using online resources for price matching etc. I know, not a huge list but this is just an example. So the first thing I will do is check the weekly ad for my local Walmart. I will also use my favorite coupon database and the Walmart search option on their website. Typically if I am going to just one store, I will use the store ad to pick the items I will be purchasing. However, sometimes it’s cheaper to actually go to the store and look at prices because not everything is advertised. For this example, I am just doing the quick way. Online! After using all of those savings, it will be like I only paid $13.76! That’s a lot more than I expected. But don’t forget that you can also use the Walmart Savings Catcher to check for even more savings. Wouldn’t it be awesome to save over $10 on a total order of $22?? Also remember that some times you will find the same item on Ibotta, Checkout 51 and on Printable coupon, so you save so much more on one item. That’s what I love about couponing. You can get such amazing deals if you just take the time to research before you go to the store. I hope you were able to learn a little bit about how to maximize your savings at Walmart. As always I am open to questions and love to teach others how to save like this. Be sure to follow my Facebook Page, and ask any question there. You can also comment below. I answer daily! Using Ibotta to save more money: Is it difficult?